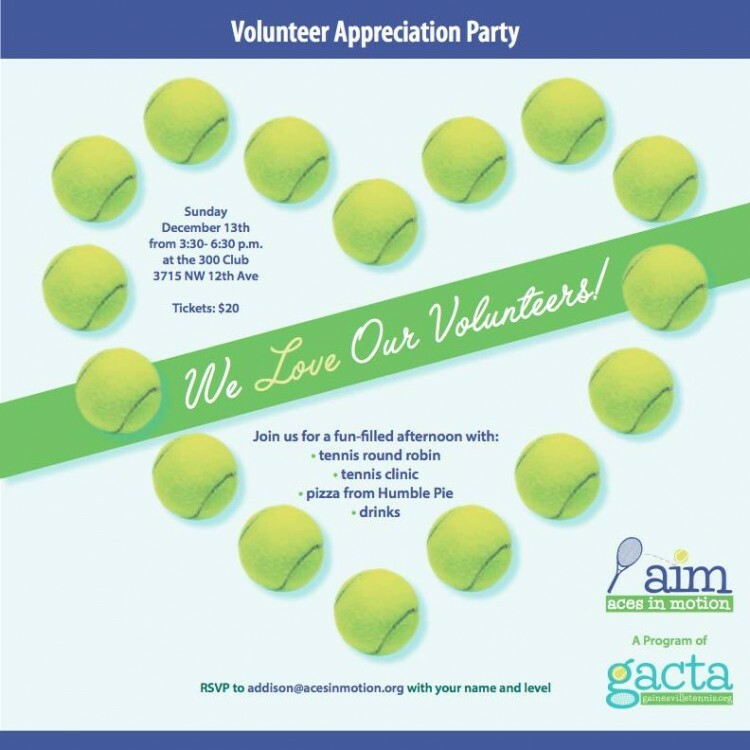 Come out to celebrate our volunteers for GACTA’s Volunteer Appreciation Party on Sunday, December 13th, at the 300 Club from 3:30 – 6:30 pm! There will be a round robin, tennis clinic, drinks and pizza from Humble Pie. Tickets are $20! E-mail Addison Staples (addison@ acesinmotion.org) with your name and level to reserve your spot. We are capping this event at 50 players so make sure to e-mail Addison soon! Looking forward to celebrating our invaluable volunteers with you all. Next: USTA Junior Team Tennis is Back for Spring 2016!